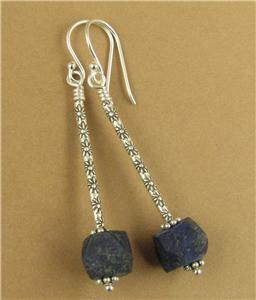 Home › Long drop earrings with lapis lazuli. Flowers. Fine & sterling silver. Handmade. 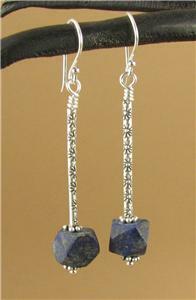 Long drop earrings with lapis lazuli. Flowers. Fine & sterling silver. Handmade. 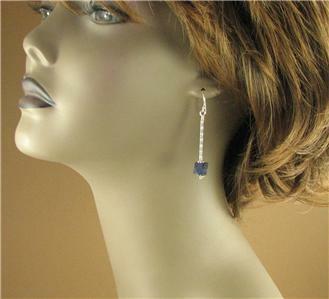 This is a pair of long drop earrings with lapis lazuli. The very long tube beads are extremely pure solid fine silver (98%). They are tribal silver and have been handmade by the hilltribe people who live between Burma and Thailand.They are embossed with a pretty flower design on the front. 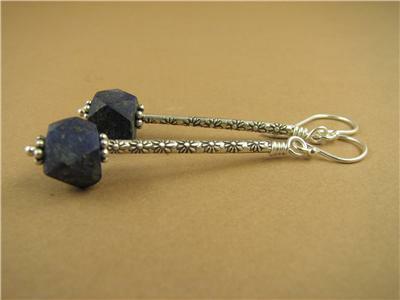 The stone below bead below is natural lapis lazuli. It is in a rough multi cut shape and is unpolished. 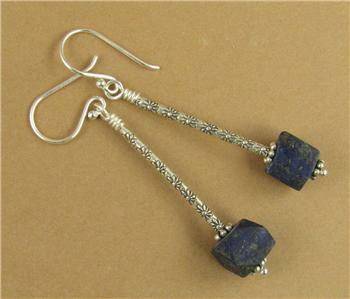 It is from Afghanistan (where the best lapis comes from) and has a very clear blue colour. 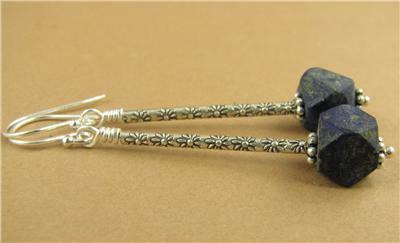 The wire in the middle of the beads, and the ear hooks are all solid sterling silver. 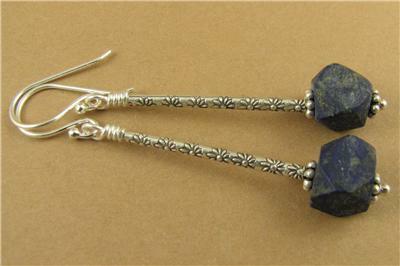 The earrings are 5 cm long, from the top of the hooks.